I was very very pleased to read the words “your baby is now viable” this week in all the baby apps. It means if the baby does arrive a lot earlier than expected then it has a much greater chance of survival. It feels like such a milestone. I’ve definitely not been wishing this pregnancy away but I’ve been waiting to reach this point as a sort of reassurance. With the last pregnancy I’m pretty sure I had already bought a million and one things and set his room all up in neutral colours. It was bloody expensive but so so exciting. This baby is going to be very much fly by the seat of my pants baby. In the nicest way possible. I was determined last time that I had to be completely 100% organised and I think I bought every baby related “helpful” item known to man thinking I wouldn’t be able to get out easily. It was my sister in law at the time that pointed out that I wasn’t going to prison and that I could, post baby, buy other things if I wanted to. I didn’t hear her though. And just carried on buying. Ahh how times change. This time I am still obsesed with nesting. Next stop will be to deep clean every single kitchen cupboard. My back and joints have mostly been behaving over the last fortnight but I’ve found I’ve become much slower. The bump has had a few growth spurts and we have affectionately nicknamed it “the beachball” because of the way I’m carrying, all out front. I think I need to adjust my centre of gravity now and remember not to knock into things. I pretty much just shuffle about and whilst it’s fine I can’t do long work journeys to London anymore. I was gutted to turn down a Jack the Ripper tour but I guess it’s probably not the best tour to do whilst almost 6 months pregnant. By sheer luck I’ve had a change of midwife and she is absolutely lovely. I resigned myself to seeing someone who always came across like she’d been eaten down by life and didn’t really want to be there. As it was all blood pressure and heart beat listening in the early weeks I didn’t mind too much and accepted she was never really going to be overly enthusiastic. Suddenly having a different, energetic midwife has come as a pleasant surprise. She’s learnt my whole history including the IVF episodes and it gave me chance to recall that whole period and talk about my wonderful consultant yet again calling him the best doctor we ever had. She piped up at the end, eyes lit up, “I know him! I’m going to tell him that”. Err oops. I have the dreaded glucose tolerance test very soon and the next few weeks will be filled with more scans to monitor the baby’s growth. I now know I very much slipped through the net last time. Not that I cared. My baby furniture matching got me through and it was a happy pregnancy because of it. This time, with countless Little Z new school meetings all thrown into the mix I know we’re all going to be collectively running around right down to the wire. Right now, the emotion of him starting big school is a lot more overwhelming than a new baby arriving. As is the thought of juggling two. So for now I am not thinking about it. This entry was posted in Pregnancy and tagged baby diary, Diary, glucose tolerance test, Pregnancy Weeks 24 and 25, pregnant, viable baby. Bookmark the permalink. Mummy Tries recently posted…It’s Official. She’s on the Spectrum. Now What? Thank you, it does feel like a bit of a relief as I’m a bit paranoid the tightening feel a bit Braxton Hicks-y. 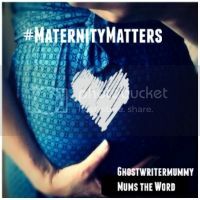 Katie @mummydaddyme recently posted…My Sisters in June 2015….. Thanks Katie 🙂 I think I will topple over soon if it carries on getting bigger. It all sounds like it’s going really well and I love your bump! Can’t imagine how big it will be at the end! I had the glucose tolerance test third time round – it was so boring! It really was, I’m sure I was in there for about 4 hours …or it definitely felt like that! Having a midwife you like makes all the difference doesn’t it. Last time I had about every midwife in the unit so never got to know any of them that well, this time we have had the same one each appointment which has been great. Training Mummy recently posted…24 weeks pregnant – we are viable! It really does, it feels like she’s actually listening to me when I’m talking to her. Before being pregnant my greatest fear in life is injection. Needles. When I got pregnant there are so many test that by the last trimester I am just so used to seeing needles and blood! I had high sugar though so at the end I have to inject insulin. More needles and one that I inject by myself too. Congrats with the great news and beachball is such a quirky cute name! My husband hates needles but I’ve had that many blood tests and things that I think he may be starting to get used to them a bit. Thanks hun, I think I may be going for a repeat of the glucose test but not too sure yet! Sooo much. I don’t think I’ve seen a male midwife in our hospital yet. Oh yes definitely. I bought his uniform the other day and he looks so cute in it. I’m now dreading his settling in session a bit! x Hope you have a very lovely time in America!